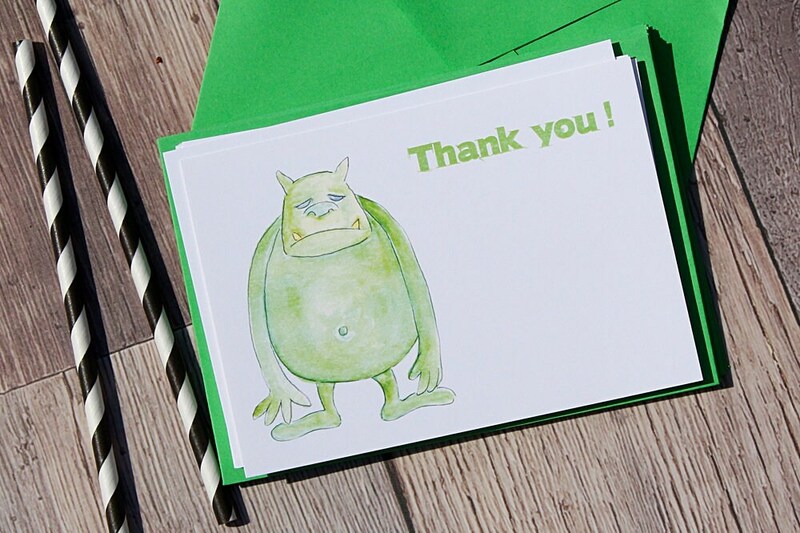 These Monster Thank You Cards are ready to post out. 10 cards and envelopes in each pack. A very cute card and a fun way to thank people for coming to their party and for their Birthday gifts.